For 18 editions MECSPE is the largest event dedicated to innovations for the manufacturing industry. Cta Calflex will be there. You can find us in Hall 2, Stand E-09. 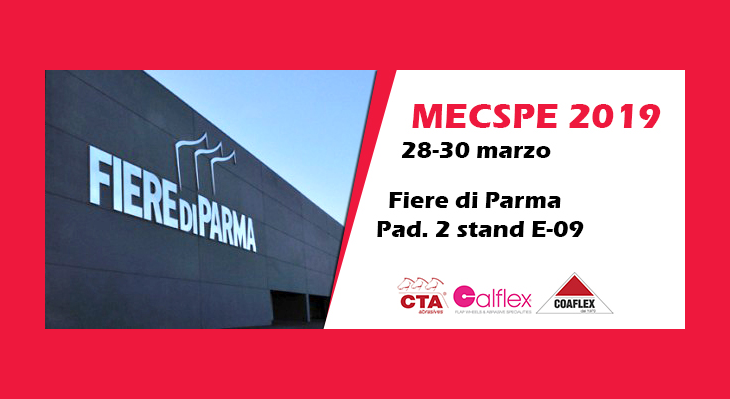 Don’t miss the opportunity to visit from 28 to 30 March 2019 the eighteenth edition of MECSPE, the reference exhibition for the manufacturing industry. subcontracting, electronic subcontracting, machines and tools, treatments and finishes, digital factory, automation and robotics, metrology and quality control, oleopneumatic and mechanical power transmissions, logistics, additive production, non-ferrous materials and alloys). Born as an acronym of Specialized Mechanics, MECSPE is confirming, edition after edition, as a meeting point between technologies to produce and industrial supply chains, thanks to the synergy between the exhibitions that take place simultaneously and the innovative exhibition formulas such as squares of excellence, demonstration units and processing islands. This synergy allows each visitor to discover all the novelties of the market thanks to a 360-degree overview of materials, innovative products and technologies for each sector of the manufacturing industry. CTA Calflex will be present at this international event and will take advantage of the opportunity on the one hand to show its solutions to a qualified audience, on the other hand to meet different business realities for the development of synergies and business networks where the professional skills and competences of each individual company can be shared to develop common projects.